In the third of our blogs looking at how the UK’s decision to exit the EU is impacting key real estate locations, our experts outline some important post-Brexit political and practical considerations for French real estate investors. It’s looking increasingly unlikely that real estate investors will have any clear visibility on the impact of Brexit before the end of 2017. This is not only due to the fact that the UK government was unprepared for such a negative vote, but also because both France and Germany are in the run up to elections. It will therefore be very difficult for real estate investors to implement decisions with any confidence before they are certain of the stance any new political administrations in both France and Germany will take on Brexit negotiations. Certainly, more risk averse investors are taking the decision to withdraw from the market or put on hold any further investments until there is more visibility in the market. We have already seen some UK property funds suspended as investors attempted to liquidate investments and reassess options, as well as the postponement of a number of UK real estate projects earmarked for development in the summer 2016. At least in the short term this is expected to take the air out of a real estate market where prices are high and profit margins low, particularly in London. We may also see some downward pressure on rents as businesses reevaluate any expansion plans for now or decrease their UK footprint. For real estate clients who have been looking for opportunities to invest in the UK market for some time, lower prices together with the decrease in sterling could provide them with the entry point into the UK real estate market they’ve been waiting for. Uncertainty does, however, also open the door for real estate investment opportunities elsewhere in Europe. 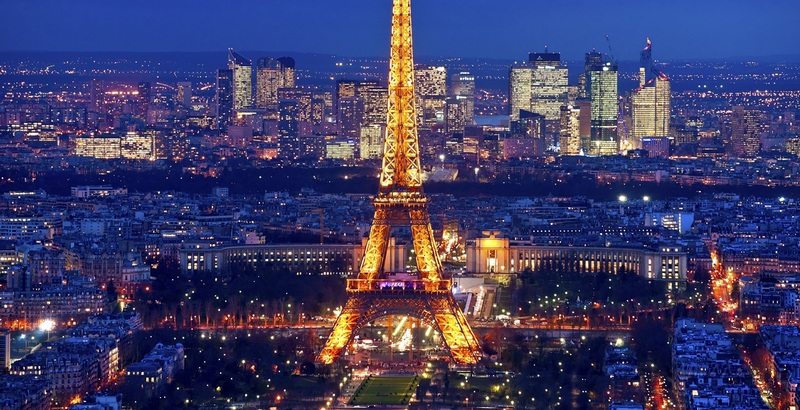 As the top financial centre behind London, Paris could benefit from any appetite to relocate, albeit minimally due to the current economic and business uncertainty in France. Germany could be a more attractive location as it has the benefit of economic stability and expanding commercial and housing sectors. Plus profitability is reasonable as prices are not as high as in London or Paris. Outside the main European centres, the Benelux countries, as well as Sweden and Switzerland offer opportunities, although they are much smaller markets. On a more practical level, careful thought needs to be given to the degree of risk in fund structures that hold UK real estate which, depending on how negotiations unfold, may require action on how best to optimise tax liabilities, performance and location going forward. Following the start of his career with AGF in France and then Poland, Gilles joined Mazars in 1992 and became a Partner in 2003. After leading the global Financial Services practice and French Real Estate sector for ten years, he currently serves as the Deputy Head of Business Development for large and listed companies worldwide. A chartered accountant and auditor, Gilles is a specialist in auditing large groups, particularly in the Insurance and Real Estate sectors. He is the Statutory Auditor of AXA, Klépierre and Foncières des Régions. He also leads advisory assignments (due diligence, accounting organization, Solvency 2, internal control…) in France and abroad. He was a professor at the French National School of Insurance (L’École Nationale d’Assurances), most notably a faculty member of their MBA program and Centre for Advanced Insurance Studies (Centre des Hautes Etudes d’Assurances). He is co-editor of the book “Managing an Insurance Company” which was published in 2013 by Dunod under the leadership of François Ewald and Patrick Thourot.